YMS19 LDN Bronze Partner, KRPT, recently started working with Ciaran Thapar, a youth worker and writer, who has joined the creative agency as a freelance cultural strategist. He sat down with KRPT’s co-founders, Mitun Thaker and Tom Molyneux ahead of YMS19 LDN next week, to discuss the agency’s work to date, and their philosophy for engaging with youth culture to create great work for brands. 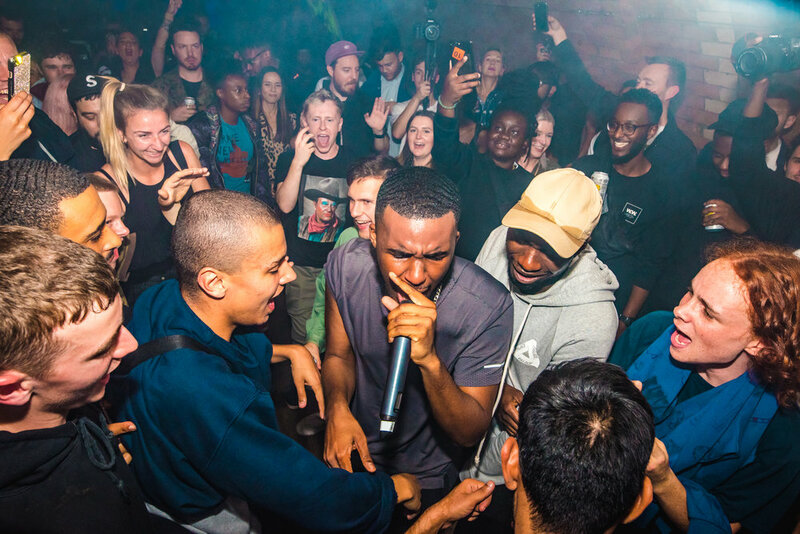 Having already had Mercury Prize-nominated MC Novelist as part of their network for a while, as a young, dynamic and respected member of the resurgent grime scene, “he was a perfect fit in terms of his mindset and what he represents” Mitun says. Novelist created an exclusive song, “When I Step”, and accompanying music video for the campaign, and was interviewed in HYPEBEAST off the back of the work. Founded in 2015 as a passion project, the KRPT team is now a 5-person creative agency which specialises in leveraging musical and cultural partnerships to “create art, not ads”. Having worked as a social media lead, and having always had a passion for music, working in this space was a natural fit for Tom. “A lot of big brands try to come into the music space and mess it up. I knew we could do it better” he explains. Mitun started his career at a tech startup, where he grew to lead their global accounts and diversify their product offering, before honing his craft at Channel 4. He is now a proud adviser for the Conscious Advertising Network. The team have worked with a range of brands including WaterAid, GRM Daily, Lacoste, TUI and Lee Jeans, whilst growing their trusted global network of creators, and refining their unique approach to branding, events and artist engagement. “The problem we want to solve is that there are a lot of agencies with older, out-of-touch men coming up with cultural strategies for 18-25 year-olds. But they can’t work out how to build relevance like we can” Tom explains. “Bigger agencies know brand strategy better than anyone. They can spend the most money on research, but the people calling the shots in these campaigns are too far-removed from the nuances and realities of youth culture to engage properly with young, fast, evolving audiences. We believe you have to collaborate with young people, creators, and cultural gatekeepers to create something authentic” he continues. “We are always thinking about how to help brands stay relevant right now, but at the same time preparing them for innovation of the future” Mitun adds. “And we can do that because we sit at a crossroads of creative culture. So we have our fingers on the pulse, we can help brands be relevant, purposeful, and admired by the consumer. Traditional agencies are quite rigid in their approach to their campaigns. We’re fluid, and we have to be, because advertising has evolved. How brands have to communicate has evolved. All our target audience — young people — operate on social media, and we know that, so we try to create physical as well as digital experiences for people to tap into and feel a part of. So many brand events feel fake, but ours are….well, we make sure they are a vibe” he continues. A perfect example of when KRPT created a vibe was last summer, at their event in collaboration with Paco Rabanne. “We did a guerilla activation in Covent Garden and Southbank with some of the most talented street dancers in the UK. The client had two weeks to do something around the Lucky Millions fragrance in line with a dance competition” Mitun describes, reminiscing on one of his formative memories of realising KRPT was here to stay. “We created great content from the day, we hit commercial objectives, but more than that we managed to tap into a sense of local community so that it wasn’t a flash-in-the-pan type of event. Our dancers made it real” he continues. “Shadow is one of the most respected dancers in the scene and is who we collaborated with to get other crews involved. It helped to tap into a layer of community as well” Tom adds, emphasising the importance of respectfully engaging with networks to understand how they borrow from and inform local cultures. So whilst KRPT see culture more generally — film, television, art — as vital for reaching audiences, why do they deem music as such an important tool for their work with brands? “There is such a big following attached to music culture. So by engaging with artists properly, you tap into their audiences. And it’s a medium which evokes emotion. You can use music to create a connection with your audience. If you’re doing a custom track, for example, you can create a real emotional attachment to that song and brand through that medium. If you were to just do an ad which included their face and voice along it wouldn’t have the same effect” Tom says. Ciaran Thapar has completed youth work for a range of charities and youth services in contexts such as schools, community centres and prisons. In his journalism he typically writes about youth culture, music and social politics, and his writing has been featured in publications such as The Guardian, BBC and Pitchfork. He has a bi-weekly online column, All City, for British GQ. KRPT will be exhibiting at YMS19 LDN on 16th-17 April. Stop by their stand to say hi and quiz them on creating art, not ads.